Our ‘twist on tapas’ has rapidly become a firm favourite with both locals and visitors to Scotland’s Capital. Whether you’re popping out for lunch or heading off for a night out at one of Edinburgh’s many attractions, the Café is an affordable and tasty option. Please join us soon and try out this ‘way of eating’. 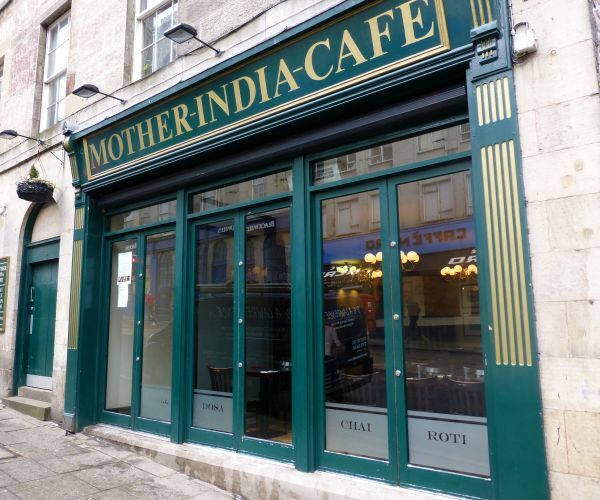 Mother India is generally reckoned to currently be the best Indian restaurant in Glasgow, and in 2008 they opened a branch in Edinburgh. Just off South Bridge, the restaurant has two dining areas and a menu with portions designed for "sharing", as is the fashion these days. It is quite a casual place, with no tablecloths and service that was so relaxed it was practically horizontal. The menu had a fairly long selection of familiar north Indian dishes. There was a short wine list too, with seven choices ranging in price from £17 to £21. Example labels were La Farfalla Pinot Grigio at £18 for a bottle that you can find in the high street for £7, and Coin des Coquins Sauvignon Blanc/Gros Manseng at £21 compared to its retail price of about a tenner. The best dish was fish pakora, fried fish in this case using haddock rather than tilapia, and with a clean tasting coating. Haddock has enough flavour to work well in this dish and hold its own with the spices, and was accurately cooked (14/20). This was better than garlic chilli chicken, whose small chunks of chicken lacked inherent flavour, and with a sauce that was just one dimensionally hot, though there were a few shreds of fresh ginger (11/20). Aloo gobi came with green beans as well as potato and cauliflower, and was a reasonable rendition of the dish, though the vegetables were cooked a little longer than ideal (12/20). Paratha is a difficult bread to do well: it can easily be too buttery and greasy, or go the other way and be dry and crumbly. This was a good balance, and was served fresh and hot, which it often is not (13/20). As noted, service was barely functional despite this being a very quiet early lunch with only a couple of other diners. I actually had to get up and head off to the bar to get a top up of water, the waiters being otherwise engaged with, well, something other than actually serving customers. The bill came to £17.40 before service with just water to drink, though if you had alcohol and a dessert then a more typical cost per head would be around £40 all in. The food itself was quite reasonable overall, if rather variable in standard, but if they struggle to serve two tables of diners competently then I dread to think how slow things must be on a busy evening. Defo not like it used to be. Interior needs an update. Portions, even for tapas style, are too small. Maybe capitalising on on Kushi's demise? House wine too expensive. Service good as always. 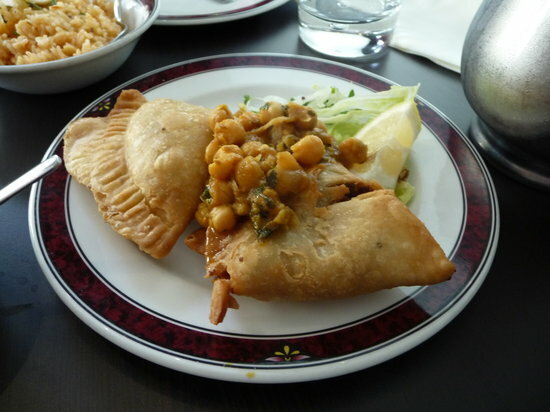 We have been dining at Mother India for a number of years and the food is consistently first class. Excellent service too. We visited with family who had not previously visited at 20.30 on what looked like a busy night. We had 2 waiters, one of whom seemed very impatient and made us feel that he couldn’t wait to get us out the door! We also were not impressed by the addition of service charge to the bill- we always tip and don’t like this practice. I’m sure this didn’t happen on our last visit. Food was good though. Even though the restaurant was full on a busy Saturday evening the food was tasty and the service very swift and attentive thank you. Delicious food in a beautiful restaurant. 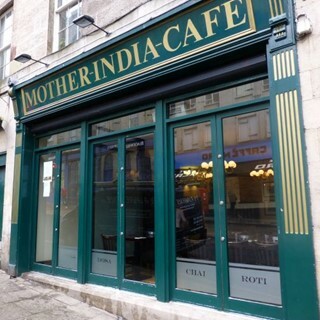 If you like food from India you will like the food here its loverly our 2nd visit to Edinburgh and our 3rd visit to mothers indian cafe hopefully not our last,See you again soon Maybe next year. Bookings are for an hour and a half which felt short as it is a place you could spend a lot of time in enjoying the food and atmosphere. However, it is incredibly popular and now I've been I see why! excellent food and really good service. Will definitely be going back! Another great visit to a perennially busy restaurant. Great food again. Mother India is one of the best places to eat in Edinburgh. Could not more highly recommend it. Never disappoints - must be the best Indian restaurant in the east. Great food, relaxing surroundings and good service. As usual the food was of a very high standard and great value for money. 3 adults; 2 curry dishes each, rice and nan and the legendary Fish Pakora (still the best in Edinburgh) for under £60 (including drinks). The only small gripe was the Waiter who took our order could have  been a little bit more friendly. Found Mother India's Cafe by chance 3 years ago on a visit and returned during this visit. Service helpful and friendly, great atmosphere and food fresh and delicious. Will definitely be back! Only slight criticism - we like a hot curry but the chicken with ginger and chilli beat us! Could you consider puting a chilli rating on the menu? 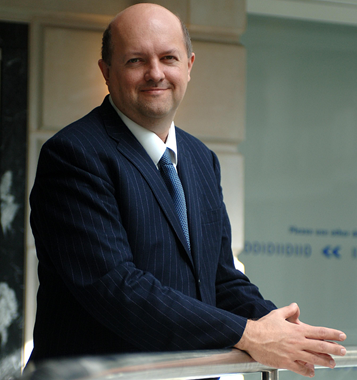 Until next time - a big thank-you! First time here. My mum was recommended to try this place by a friend as she loves Indian food. Was lovely to be able to select various dishes as tapas. Food was gorgeous! No faults whatsoever! We will definitely be back!